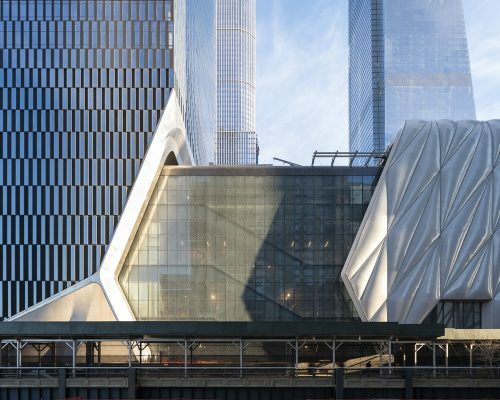 NEW YORK, NY – Hudson Yards revealed a first look inside Fifteen Hudson Yards, designed inside and out by Diller Scofidio + Renfro (DS+R), Lead Architect, and Rockwell Group, Lead Interior Architect. 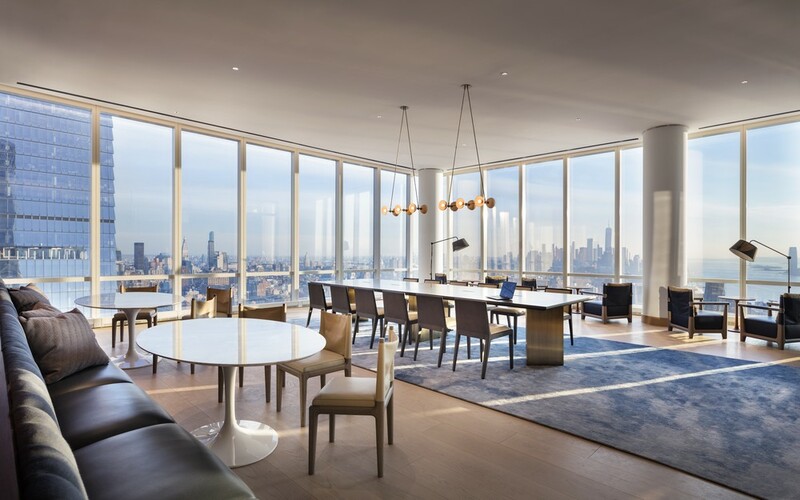 Spaces on display include high-floor wellness and entertainment amenities with dramatic 360-degree views and two model residences on the 25th floor. 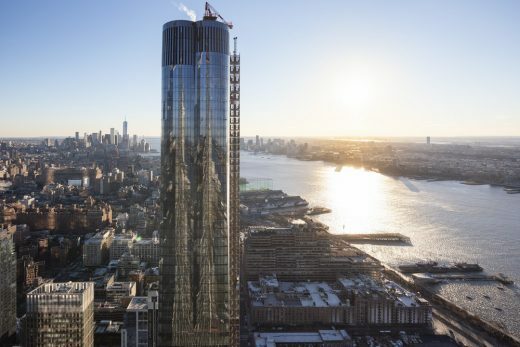 The neighborhood’s first residential tower is already over 60 percent sold with contracts totaling more than $800 million. The 40,000 square feet of amenities at 15 Hudson Yards feature 360-degree views of the Hudson River, Statue of Liberty and the city skyline. 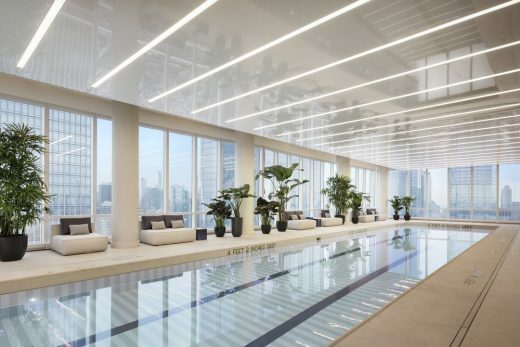 The entire 50th floor is dedicated to wellness, including an aquatics center with a 75-foot-long swimming pool, private spa with treatment rooms, beauty bar outfitted for hair and makeup services, fitness center designed by The Wright Fit, private studio for yoga and group classes, and a children’s imagination center. 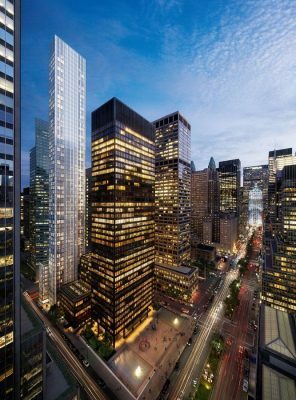 The 51st floor is devoted to entertaining, leisure and cultural pursuits, featuring a club room, two corner private dining suites, sound-proof screening and performance room, golf club lounge, wine storage and tasting room, business center, and a collaborative work space. 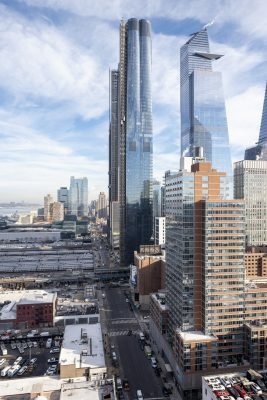 In the spring, a new suite of amenities on the Skytop level of Fifteen Hudson Yards will also open. 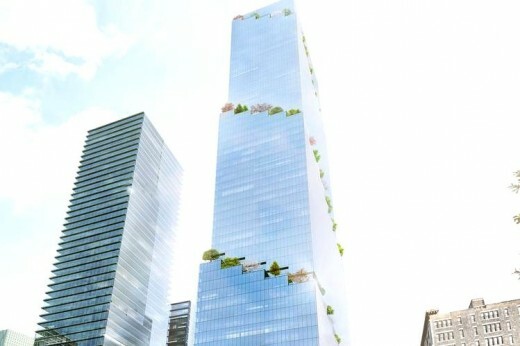 Two model residences on the building’s 25th floor are also on display. 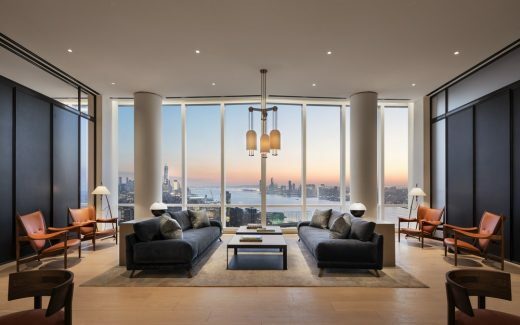 New York-based interior designer Elena Frampton curated Residence 25H, a sprawling 2,221-square-foot three-bedroom, three-bathroom home priced at $6,370,000. 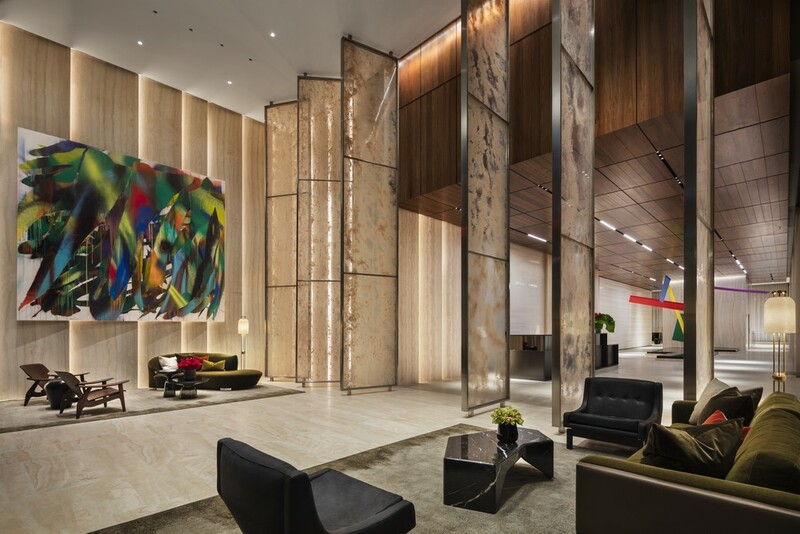 Frampton hand-selected bold wallcoverings and vivid structural furniture inspired by Fifteen Hudson Yard’s exemplary architecture to enhance the residence’s panoramic views, which include the Hudson River and New York’s Staircase by Heatherwick Studio. 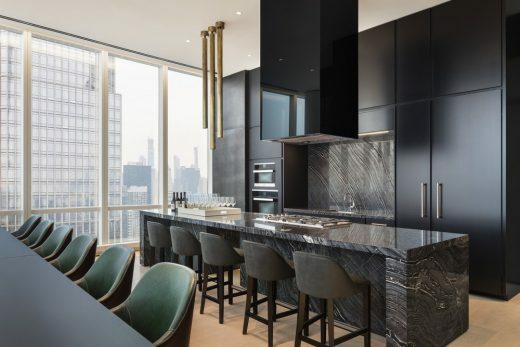 Residence 25G, designed and styled by Neiman Marcus Fashion Director Ken Downing, features two-bedrooms and 2.5-bathrooms spanning 1,464 square feet and is priced at $4,285,000. A prominent fixture at fashion shows around the world, Downing curates the styles and trends that Neiman Marcus stands for each season. 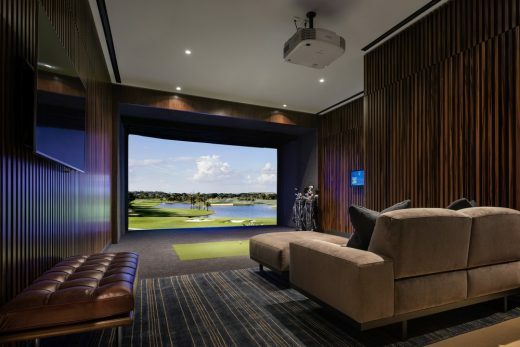 He applied the same approach to the residence, pairing colors from the runway with a diverse selection of art and vibrant furniture textures, to enhance this exceptional space. 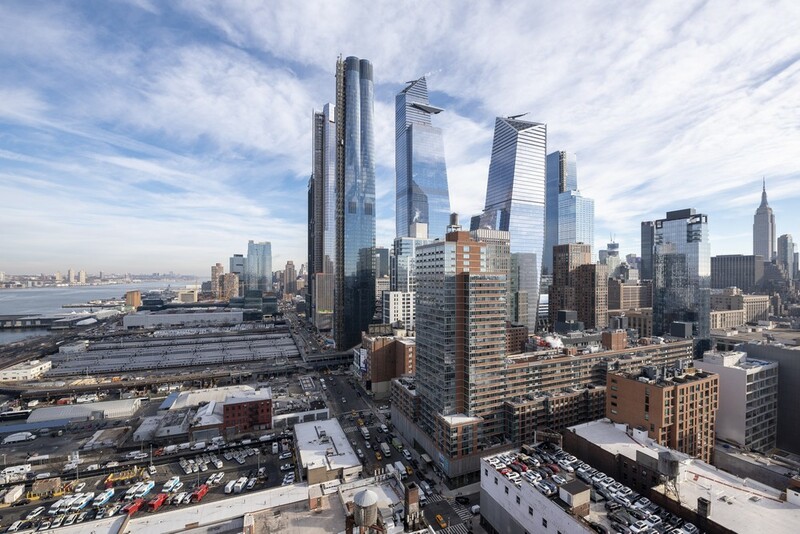 Hudson Yards is an entirely new neighborhood on Manhattan’s West Side that will offer an unmatched lifestyle to its residents. 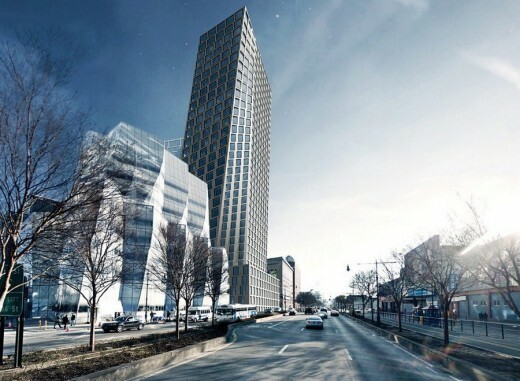 With a wealth of wellness, shopping, dining and entertainment options, the all-encompassing locale will create a completely new culture for city dwellers. 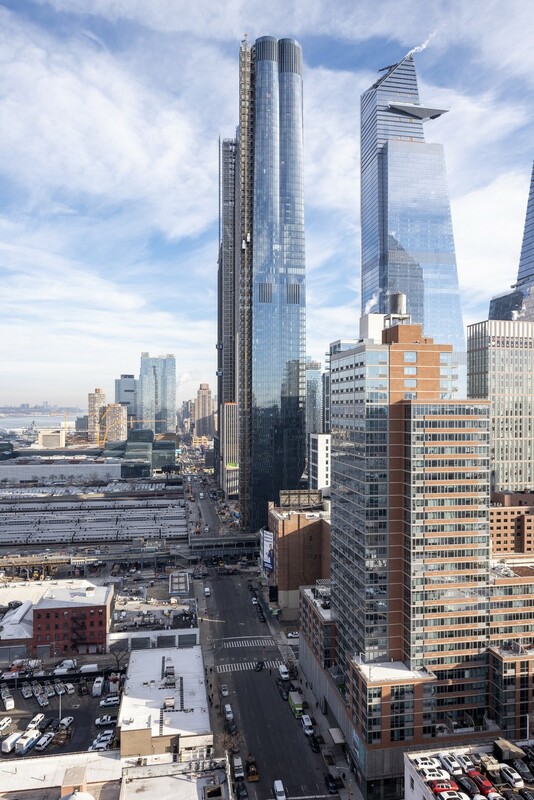 Fifteen Hudson Yards offers a collection of 285 one- to four-bedroom condominium residences. 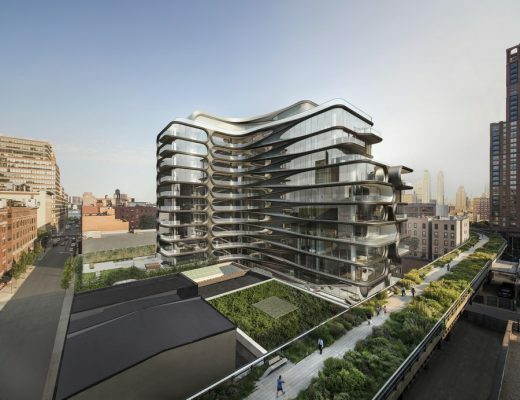 Remaining homes are priced from $3.9 million for a two-bedroom to $32 million for duplex penthouse 88B. Related Sales and Corcoran Sunshine Marketing Group are the exclusive sales and marketing agents for Fifteen Hudson Yards. Hudson Yards is being developed by Related Companies and Oxford Properties Group and is a new neighborhood on Manhattan’s West Side. 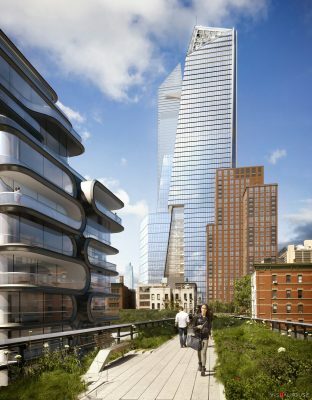 With more than 18 million square feet of mixed-use development, Hudson Yards includes over 100 shops and restaurants, including New York City’s first Neiman Marcus and signature restaurants and food experiences by Chefs and restaurateurs Thomas Keller; José Andrés; David Chang; Michael Lomonaco; Costas Spiliadis; rhubarb and Chef Dan Doherty; and D&D London; approximately 4,000 residences; 14-acres of public open space; a unique cultural space; a 750-seat public school and an Equinox Hotel® with more than 200 rooms – all offering unparalleled amenities for residents, employees and guests. 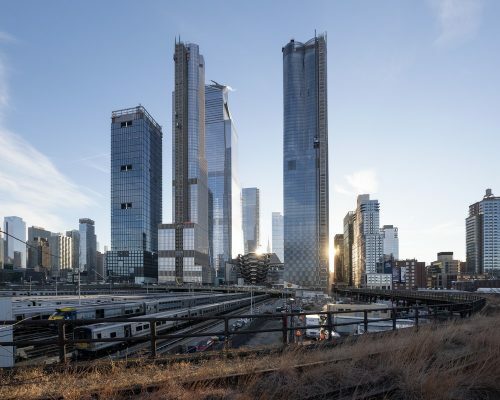 For more information on Hudson Yards, please visit www.HudsonYardsNewYork.com. 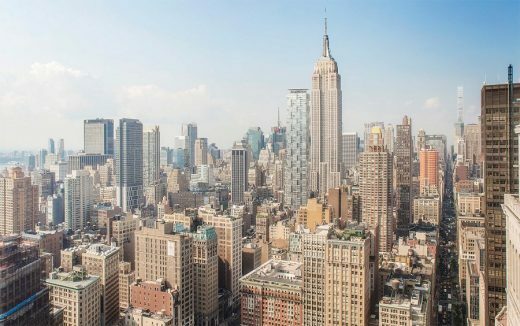 Oxford Properties Group is a global platform for real estate investment, development and management, with approximately 2,000 employees and over $40 billion in real assets that it manages for itself and on behalf of its co-owners and investment partners. 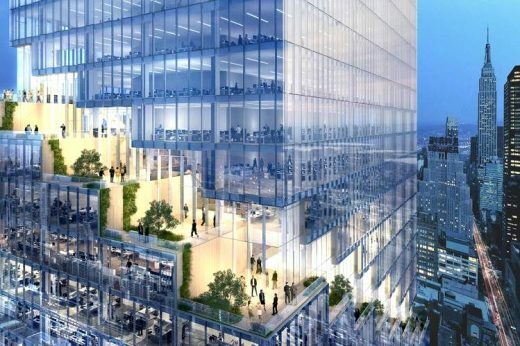 Established in 1960, Oxford has regional offices in Toronto, London and New York, and the company’s portfolio includes approximately 56 million square feet of office, retail, industrial, multi-family and hotel properties. Oxford is the real estate arm of OMERS. For more information, please visit www.oxfordproperties.com.